If you want to become a successful trader, you must follow good Forex money management rules. Most beginners in the market neglect the importance of money management until it’s too late and their account is blown. What is the Function of Money Management in Forex? 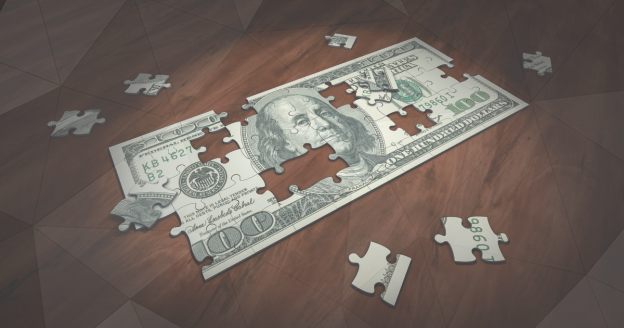 Money management refers to a set of tools, techniques and practices, used by market participants, that aim to increase profitability and reduce the overall risk of losing money in the market. Traders and investors use money management rules to keep track of the performance of their trading accounts. Money management should be a part of a well-round trading plan, which in addition to money management rules also includes your trading strategy, market approach, entry and exit triggers and which asset classes to trade. While money management is extremely important in trading, bear in mind that it only reflects one part of your general trading plan. Anticipating future price-moves correctly is only one side of a coin. Even the best trading strategy won’t help you much in becoming successful if you don’t have sound money management rules in place. Let’s say your trading strategy has an 80% winning rate. If you don’t pay attention to money management, chances are that your losing trades will be significantly larger than your winning trades, basically wiping out all the profits you make on your winning trades. On the other side, a trader with a mediocre trading strategy who knows how to manage his trades and money will likely end up with a better trading result simply by cutting his losers short and letting his winners run. Most beginners in the market don’t pay attention to money management at first. They’re focused on getting into the perfect trade setup and often over-leverage their trades. Opening extremely large position sizes is one of the major reasons why beginner traders blow their first trading account in record time. It’s only after they fund their trading account the second or third time that they start to realise the importance of money management in trading. In essence, trading is a probability bet – even professional traders don’t get the market correction right each time they place a trade. This is why controlling your potential losses and trading risks plays such an important role in trading. Trading is a long-term game. If you quantify how much you’re losing per each trade and how much your potential profits are, you have a good chance to be in plus over a large enough sample of trades. Before digging deeper, let’s explain some basic terminology. If you’re using MetaTrader, you find this information in your Terminal window. Balance – The balance of your account reflects your total account size without unrealised profits and losses of your running trades. Equity – Your equity reflects your account size adjusted by any unrealised profits and losses of your running trades. 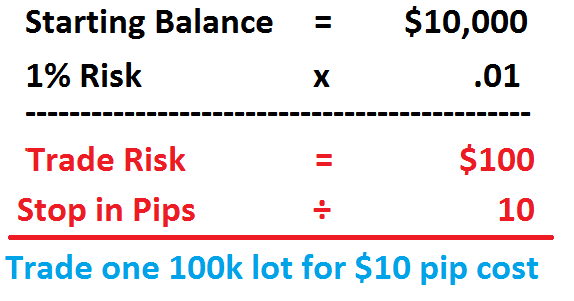 If you have one open trade which is $100 in plus, your equity will be $100 larger than your balance. If you don’t have any open trades, your equity will equal your balance. Unrealised Profit/Loss – Unrealised profits and losses refer to all profit and losses of your running trades. Once your trades hit your exit targets or you close them manually, unrealised profits/losses become realised. Used and Free Margin – If you’re trading on leverage, then you have to allocate a small portion of your trading account as the margin or collateral for a leveraged trade. Your free margin will then equal your Equity minus your Used Margin. Always pay close attention to the amount of your free margin – if it drops to zero, you’ll get a “margin call” and your broker will automatically close all your open positions. Watch: Is Leverage a Traders Friend? Position Size – The position size refers to the total market exposure of a trade. 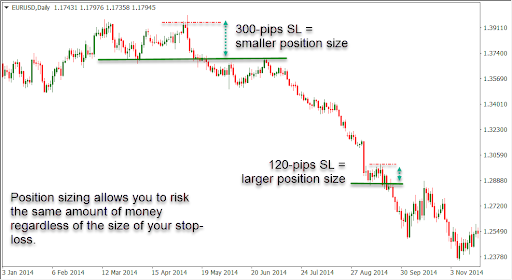 The standard position size in Forex is one lot, which equals 100,000 units of the base currency that you’re trading. For example, if you buy one lot of GBP/USD, your position size would be GBP 100,000. The amount of money you’re making or losing per pip (dollar pip value) depends directly on the size of your position. Whether you’re an experienced trader or new to the markets, the following money management tips can have a great impact on your bottom line. Whenever you open a trade, you need to be aware of how much you’re going to lose if the trade goes against you. This concept is called risk-per-trade and refers to the risk you’re taking per each trade. Risk-per-trade is usually expressed as a percentage of your trading account. For example, if your risk-per-trade is 2% and your trading account size is $10,000, you’re going to risk $200 on any trade you make. Your loss will be $200 if your trade hits stop-loss. Another important concept in money management is the reward-to-risk ratio, or R/R. This ratio equals the potential profit on a trade divided by the potential loss on a trade. For example, let’s say you open a position on EUR/USD with a profit target of $600 and a stop-loss of $200. This trade would have a reward-to-risk ratio of 3:1, i.e. your potential profit is three times larger than your potential loss. According to FXCM’s research “Traits of Successful Traders”, traders who placed trades with a reward-to-risk ratio of at least one were significantly more profitable than traders who risked more on a trade than they could potentially gain. At some point, all of us had the temptation to chase the market for a trade setup, especially after closing a trade in loss. Let me tell you something – The market doesn’t owe you anything. The market is neither moral nor immoral – it’s amoral. Never open trades based on emotions such as fear or greed, or you’ll likely end up accumulating losses and blowing your account. a) Chart Stops – This type of stop-loss orders is based on important technical levels in a price-chart. Most of the time, chart stops return the best results. b) Volatility Stops – Volatility stops are used to close your trade once the traded financial instrument reaches a pre-determined volatility level. c) Equity Stops – Equity stops use a pre-determined amount of money, usually as a percentage of your trading account, to set your stop-loss levels. The main disadvantage of this approach is that equity stops don’t take the current market environment or important technical levels into account. d) Time Stops – As their name suggests, time stops are used to close your trades by the end of the London trading session, end of the trading day or end of the trading week, to give a few examples. They’re simply based on a pre-determined period of time after which you close your trades. To boost your trading performance, I strongly recommend to use chart stops and to adjust your position size according to your risk-per-trade. We’ll show you how to do that in the following point. This is a crucial point in money management, the importance of which many traders realise too late. Let’s say that your trading account size is $10,000, you don’t want to risk more than 1% of your account on any single trade, and you’ve identified an important technical level on your chart at which you want to place your chart stop. If you feel that a trade setup doesn’t perform well or that recent news reports could have a negative impact on the trade, simply close it before it’s too late. Successful traders are extremely impatient with losing trades and let their winning trades run. Unexperienced traders, on the other hand, tend to wait for a losing trade to return to break-even as they don’t want to face a loss. While trades based on bad setups should be closed as soon as possible, make sure to give enough breathing room for good setups to perform. There is a high chance that even good setups will be in loss at some time before picking up the right direction. If you believe in your trading strategy, you shouldn’t feel nervous during those situations – simply let the trades perform. How to Apply Money Management? If you’ve never used money management in your trading, you might feel overwhelmed by the number of rules you need to take into account. However, after a few trades and with some experience, your money management rules will become second nature to you. Money management needs to be an integral part of your overall trading plan. You should follow your money management rules in each trade you open in order to maximise your gains and minimise your losses. So, What is the Best Forex Money Management Strategy? While there is no single best Forex money management system, certain rules and practices have shown to work great to increase your trading performance. However, bear in mind that all rules need to be fine-tuned to fit into your psychological traits, risk tolerance and trading style. Some traders may be fine with risking 5% of their trading account on any single trade, while others could feel nervous with any risk above 1% of their account size. You need to find what fits you the best. 1. Don’t risk more than 2-3% of your trading account. Even if you’re risk tolerant, risking a high percentage of your trading account on a single trade can easily accumulate losses. Imagine risking 10% per trade and losing five trades in a row – you would’ve lost 50% of your trading account size! To return to break-even from that point, prepare to make a 100% profit on the remaining 50% of your account. 2. Only take trades with R/R ratios above 1. This way, you’ll make a profit even if your trading strategy has a 50% winning rate, because you’re making more on each winning trade than you’re losing on bad trades. However, be realistic when it comes to R/R ratios – Taking a trade with a 10:1 R/R ratio has a much higher chance to hit your stop-loss than your profit target. 3. Use chart stops and adjust your position size accordingly. Chart stops are based on important technical levels on the chart, such as support and resistance levels, which increases their efficiency. Once you determine your stop-loss size, adjust your position size to remain inside preferred risk-per-trade. Are setting your position sizes correctly? 4. Set Up a Money Management Spreadsheet. Last but not least, make sure to keep a money management spreadsheet with all the vital information of your money management rules. Keep a journal of your trades and their respective risks-per-trade, R/R ratios, position sizes, stop-loss and take-profit sizes, and analyse which set of money management rules returned the best trading performance. Money management refers to a set of rules and practices that aim to reduce your losses and increase your profits in the market. Make sure to create and follow your money management rules as soon as possible to keep your risk under control – Your bottom line will be thankful for that.